There is free parking in deck next to the library. Pre-register at j-grover.com/cfarc. Those only taking exams need not pay the admission fee. Sessions require registration at hamfest. There are three sessions starting at 9, 10, and 11 AM. Pre-register at j-grover.com/cfarc. Walk-ins must have FRN (FCC Registration Number). April 13 2019 9:00am Those only taking exam need not pay admission fee. April 13 2019 10:00am Those only taking exam need not pay admission fee. April 13 2019 11:00am Those only taking exam need not pay admission fee. 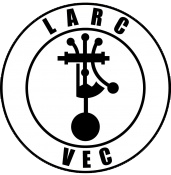 Note ARRL sessions have $15 exam fee while Laurel sessions are free (no charge). Pre-register at j-grover.com/cfarc. July 11 2019 6:30pm ARRL Session with $15 fee. September 12 2019 6:30pm ARRL Session with $15 fee.